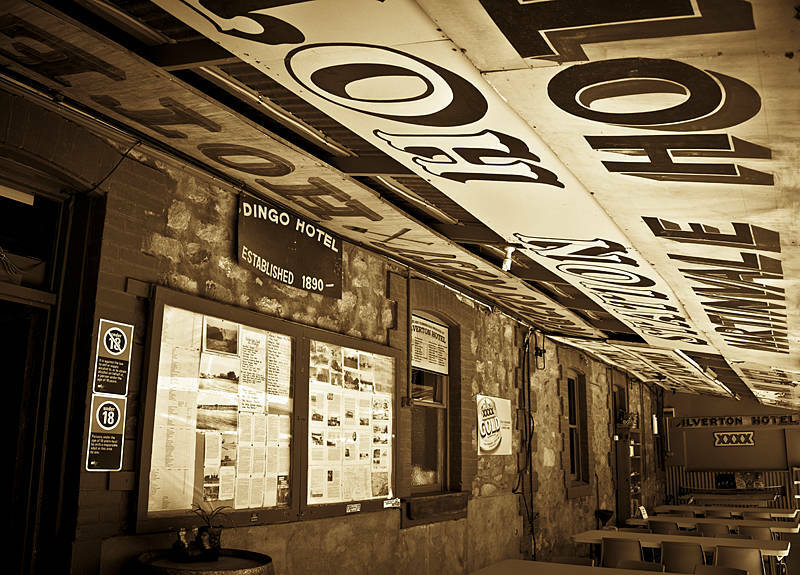 This is the Silverton Hotel in outback New South Wales, Australia. There cannot be many pubs which have been in so many films they can build an awning out of its own alternate name signs. Mad Max II, Razorback, A Town Like Alice, Dirty Deeds, The Craic and more beer ads than a cane toads grandkids.